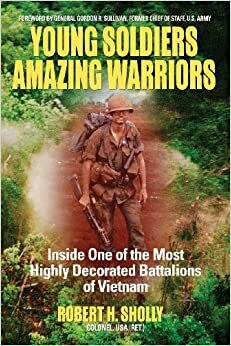 Robert H. Sholly’s Young Soldiers, Amazing Warriors: Inside One of the Most Highly Decorated Battalions of Vietnam (Stonywood Publications, 439 pp., $22.95, paper; $9.95, Kindle), his account of Company B, 1st Battalion, 8th Regiment, 4th Infantry Division in Vietnam in 1966-67, is a stunning read. In the book Sholly supplements his activities as Company Commander with the recollections of the men he led, as well as with military records. The book’s combat scenes are relentlessly gory. Most of the battle descriptions come from the men who were engaged in the furious action. I had not read a book that described combat at such high and prolonged intensity since We Were Soldiers Once…and Young . Not coincidentally, the action in both books took place in the Ia Drang Valley area. 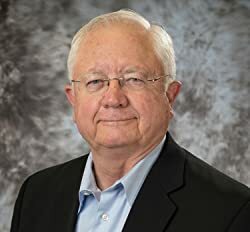 Early in his book, Sholly—a member of Vietnam Veterans of America— writes: “In my mind, just about everything in Vietnam was against us, the enemy, the terrain and the weather as well as Brigade and Division. My judgment was still out on Battalion.” A captain (and former sergeant), he was serving the first of two Vietnam War tours. For months, alongside the 1st Battalion’s other companies, Sholly and his men trolled up and down the western border of South Vietnam to attract North Vietnamese Army forces deployed in Cambodia and Laos. “Whether in fishing or other endeavors, bait never has a good time, ” Sholly says. Making the best from the rigors of the assignment, Sholly used long marches into the mountains and valleys west of Pleiku for on-the-job training. He bettered the marksmanship of new guys, taught all ranks to read maps, and refined his lieutenants’ and sergeants’ ability to call in artillery and air support. “In the Central Highlands, our enemy were well-trained, main force NVA divisions and regiments that attacked in waves with mortar support, ” Sholly writes. “They preferred to find U.S. companies and attack in superior number with two battalions, ensuring large American casualty numbers without regard to their own losses. The rules of engagement restricted Americans from getting closer than one kilometer from the border to prevent an international incident by accidentally operating in the next country, Sholly writes. Things began really heating up in March 1967. First, the NVA massed its forces and overwhelmed Company A. Company B went to the rescue, but only by fighting its own small war along the way. Two months later, Company B fell into a similar trap and depended on support from Companies A and C, a situation that developed into a series of battles stretching over three days. In each engagement, American forces were outnumbered—by as much as twenty-to-one—and outgunned until artillery and air support arrived. Both sides took high numbers of casualties. At the end of one encounter, Company B’s Fourth Platoon had only seven survivors. As a result of these actions, the Medal of Honor was awarded to 1st Sgt. David McNerney, Platoon Sgt. Bruce Grandstaff, Staff Sgt. Frankie Molnar, and PFC Leslie Bellrichard. Three of the four were posthumous. At times Young Soldiers, Amazing Warriors has a textbook quality as Sholly explains the requisites for a platoon, company, and battalion leader. An infantryman from start to finish, Sholly readily discusses both his successes and failures. In combat, he set the example by stepping into the middle of whatever challenges his men faced. Robert Sholly’s military career spanned thirty-five years. He retired as a colonel.